The Facebook flotation left its founder Mark Zuckerberg worth around $20 billion after a frantic first day of share trading. Shares ended the day valued at $38 after feverish interest in the sale. Initially shares soared by 11%, but towards the end of trading, some experts suggested they had to be shored up to avoid a PR embarrassment. Zuckerberg stepped outside his California Facebook headquarters to remotely ring the bell to start trading on the New York Nasdaq exchange. 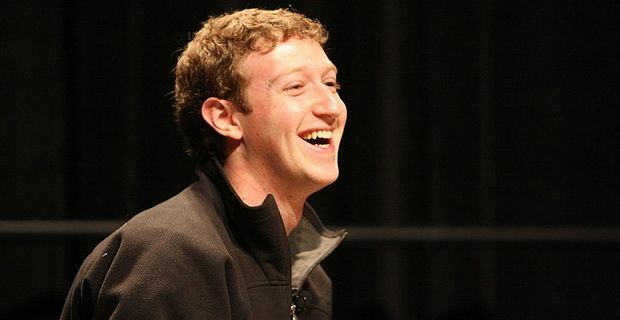 He looked cheerful, as you might expect from the man now calculated to be the 23rd richest in the world. David Kirkpatrick, the author of The Facebook Effect, told The Guardian that money was not Zuckerberg’s primary motivation. "Of course the money means something to him," Kirkpatrick said, "but he's not doing it just for the money and he assumes that rather than focus on the money, he should focus on making sure Facebook does well. He is highly analytical in everything he does, extremely disciplined. He is not going to be watching that stock price every day, I can tell you that." That might be for the best, as financial experts suggest that once the initial excitement dies down, cooler analysis may prevail. Facebook is valued at twice the amount of Goldman Sachs, but the investment bank had 10 times the revenue of Facebook last year. Before the bubble bursts, or at least deflates, those who were in at the begining of Facebook are very rich. Apart from Zuckerberg himself, this includes co-founder Dustin Moscovitz and U2 singer Bono’s investment company Elevation.